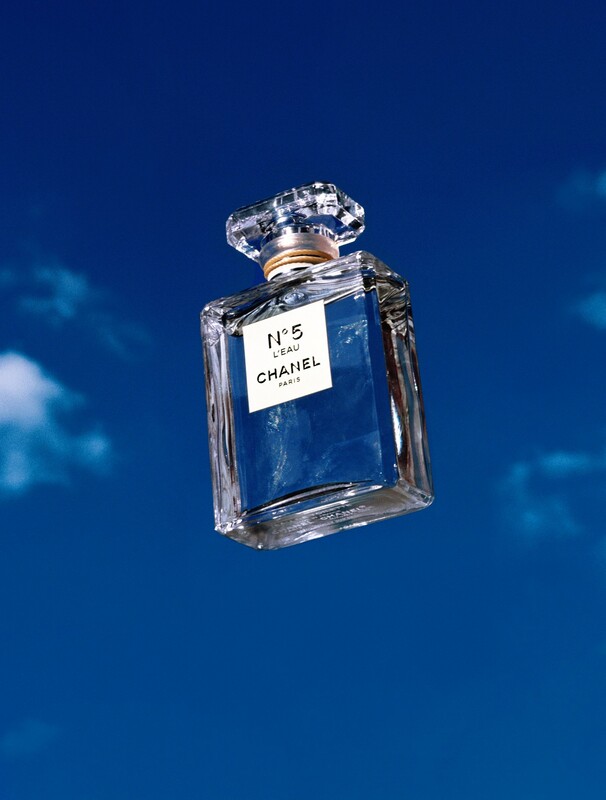 Folklore decrees that somewhere in the world, each and every minute, of each and every day, a bottle of Chanel No. 5, is bought. It remains at the top of the international best-selling fragrance lists almost a century since its creation by Ernest Beaux, perfumer to the Russian court, introduced to Gabrielle Chanel by her then lover, the Grand Duke Dmitri Romanov, who escaped revolutionary Russia with the chemist to settle in Biarritz in 1920. A year later, in 1921, Parfum No. 5 was born. Just as it was Mlle Chanel’s desire to offer women a stylish, contemporary and uncluttered wardrobe ridding them of the frills, furbelows and unwieldy underpinnings of the Belle Epoque, so she aimed to revolutionise perfumery. The scents that came before this one were heavy, single-note florals packaged in, to her mind, over-decorated bottles. No. 5 was different. Of course, it contained flowers, lots of flowers, most significantly jasmine and rose, but it didn’t immediately relate to anyone in particular. It was, then, the world’s first abstract fragrance, as signposted by its very name, a number – Chanel’s lucky number – rather than anything more obviously feminine or evocative. Chanel herself briefed Beaux simply – or in truth, and typically, not quite so simply – to create ‘un parfum de femme, à odeur de femme’. It is no coincidence that she was the first ‘face’ of No. 5, captured in her apartment by Man Ray. Natural raw materials aside – and Chanel has gone to great lengths to protect the fields in Grasse where these are grown – the secret of No. 5’s elusive nature, and the truly groundbreaking thing about the scent, is, in fact, chemical. No. 5 was the first perfume in the world to make use of aldehydes, molecules taken from products of natural origin, synthesised in laboratories in France in the late 19th century but not used in fragrance until Beaux thought to do so. Aldehydes run the gamut from repellent – formaldehyde, for example, which is aggressively cloying – to infinitely desirable – powdery, pure and singularly effervescent, all qualities that No. 5 possesses in spades. The clear, crystal Chanel No. 5 bottle was equally pioneering and it too has changed little since its inception. It is as instantly recognizable as Coca-Cola, and like Coca-Cola, was portrayed in myriad colourways by Andy Warhol in the 1950s which only served to cement its iconic status. Unlike other perfume houses, Chanel’s successive noses – including Beaux himself – have guarded the majesty of No. 5 as if their existence depended on it. Of course, strict laws surrounding ingredients decree that at least some of those originally contained in the amber juice are now no longer available but others have been painstakingly sought out that best replicate them. That is not to say, however, that such olfactory powerhouses have failed to reinvent No. 5 to ensure it stays abreast of modern perfumery and attracts every generation of consumer. In 1924, Beaux himself introduced Chanel No. 5 Eau de Toilette. Later, Jacques Polge, who retired last year but was ‘le nez’ at Chanel for more than 30 years, formulated Chanel Eau de Parfum and then the lighter, fresher Chanel No. 5 Eau Première. As is often the way of things in the world of fine fragrance, his successor is his son, Olivier Polge, whose turn it is now to reinterpret Chanel No. 5. And so he has with the soon to launch No. 5 L’Eau which is lighter and fresher still and intentionally more direct than its predecessors. Once again, though, No. 5 L’Eau aims to complement rather than ever detract from the mighty Parfum No. 5. And that is just as it should be. Why mess with perfection, after all?